Coat the waffle iron with non-stick cooking spray, and preheat. Combine the melted margarine, milk, yoghurt, eggs, vanilla, and flaxseed and stir. Combine all of the dry ingredients and mix with the wet ingredients. 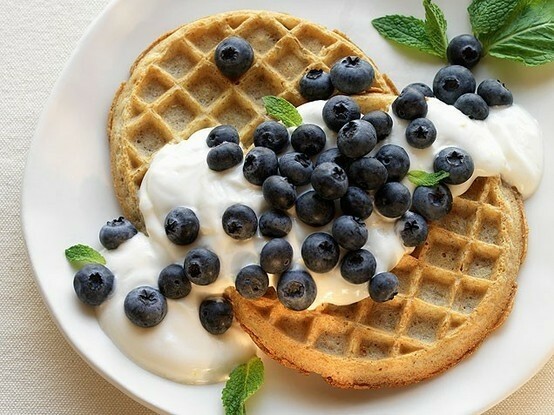 Pour batter into waffle iron in batches, and cook until golden brown.